So everyone is banging on about this thing called ‘Paleo’ and my whole health business is based around it. But I am only just starting to realise that, actually, not everyone has heard of it! 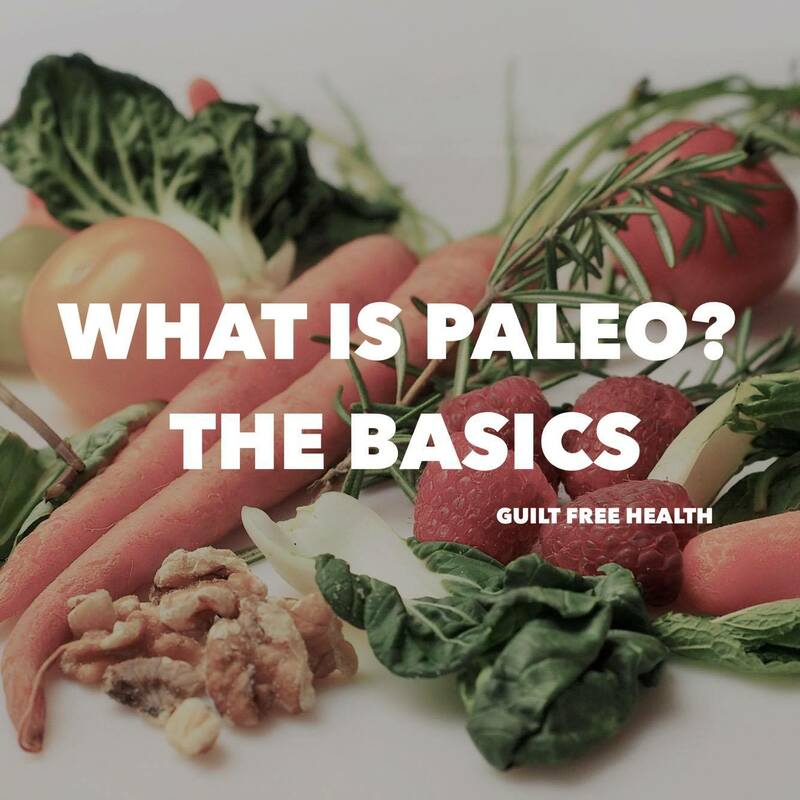 I thought I would write a simple blog to help you understand the basics so you can decide if a paleo life is one for you. Everyone gets into Paleo for different reasons and experiences different results and changes in their bodies, mood and energy levels. But pretty much everyone agrees that eating Paleo makes you feel pretty damn awesome. Paleo is a lifestyle change that is guaranteed to have a huge impact on your health and weight. It’s not about restrictions. There is no calorie counting involved (yay!) and you can eat LOADS of food, but it has to be the right foods of course. Honestly, you will feel so good once you transition to the Paleo way, you won’t look back! You can also choose how fully you commit to this way of eating: you can dip your toe in and transition gradually or jump right in to it! I like to follow the 80/20 approach to Paleo- eating Paleo 80% of the time. The other 20% of the time you can eat non-Paleo or treat foods. For me this equals 1-2 non-paleo meals per week, depending on my health and weightloss goals at that particular time. Nutrition experts say Paleo works because it lessens the body’s glycemic load, has a healthy ratio of saturated-to-unsaturated fatty acids, increases vitamin and nutrient consumption, and contains an optimal balance of protein, fat, and carbohydrates. The underlying principle is that you take your eating ‘back to basics’ – the way humans used to eat before all the processed crap came along. Our ancestors lived on nutrient dense foods like fruit and veg, nuts, seeds, meat, fish and eggs. Research suggests that our ancestors ate a diet consisting of 35% of their calories from fats, 35% from carbohydrates, and 30% from protein. NO HIGHLY PROCESSED OR REFINED FOODS. The theory is that our bodies are not designed to digest and metabolise processed foods. Eating processed foods is thought to cause illness and sluggish metabolisms. When we eat naturally, our bodies are working as they were designed to and thus work more effectively and helping us to maintain optimum health. Don’t panic! You can still have your cake too. By getting creative with natural whole food products you can make some tasty Paleo desserts. Or buy them from companies like Naturally Guilt Free. Anything that comes in a box, jar, or bag should be avoided. Yes I know this looks scary at first and I bet you are thinking ‘what the hell will I eat?’ right?? But trust me, it’s not that bad, or that hard. Your daily meals will be nutritious, delicious and you won’t feel like you are missing out on anything. As a result you eliminate unnecessary toxins and consume more nutrients. You can come up with all sorts of creative masterchef dishes once you know what you are doing. You will need to dedicate a little more time to food prep, but your health is worth it. Replace starchy carbs with Paleo alternatives such as sweet potato, courgette spaghetti and cauliflower rice. Want to know a scary statistic? A study found that people who cook at least five times a week are 47% more likely to be alive 10 years later compared to those who rely more on processed foods. Yikes!!! Paleo promotes eating grass-fed organic meats and organic fruit and veg. We can’t all afford to eat everything organic and grass-fed. But where possible, try to eliminate pesticides and hormone-pumped meat from your diet. A few swaps will leave you feeling much healthier. I know I would rather spend a bit more on my weekly food shop than buy takeaways twice a week. Typical paleo meals will be high in protein (i.e. meat or fish), seasonal veg and GOOD FATS from nuts, seeds, oily fish, red meat or avocado. If you are eating lean cuts of meat such as chicken, add good fats by cooking them in extra virgin organic coconut oil. Coconut oil is becoming a stable in health foodie cupboards everywhere at the moment! Coconut oil is high in natural saturated fats. Saturated fats not only increase the healthy cholesterol (known as HDL) in your body, but also help to convert the LDL “bad” cholesterol into good cholesterols. By Increasing the HDL’s in the body, it helps promote heart health, and lower the risk of heart disease. Basically, by eating such a good source of fat, you help your body break down bad fats. WINNER! Exercise is a vital component of the paleo lifestyle. Our ancestors didn’t sit on their butts all day watching TV. They were constantly on the go! The view is that ‘food is fuel’ so the more you move, the more you need to eat. Eating a paleo way can help you fuel your body better for workouts and improve your fitness levels. My 21-day programme provides a more detailed guide to eating ‘paleo’ for weight loss and improved health, with shopping lists, fat-blasting home workouts, a quick meal prep guide and loads of super tasty recipes too! If you are interested find out some more information HERE.